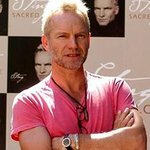 The Sage Gateshead are delighted to announce Sting as a founding Patron of their ambitious £1.3 million project to transform the remaining railway arches behind the iconic venue into a hub of creative training for some of the region’s most disadvantaged and vulnerable young people. The Sage Gateshead is an international home for music and musical discovery, bringing about a widespread and long-term enrichment of the musical life of the North East of England. It is both a live music venue and a centre for music education. An appeal to raise funds for The Arches project was launched at The Sage Gateshead’s Annual General Meeting (TUES). The Sage Gateshead’s Foundation Learning programme, which offers young people aged 16 to 18 the opportunity to develop their social and employability skills alongside a unique urban music training programme, is currently based in temporary buildings in the arches with additional sessions taking place in the Music Education Centre in the building. But the programme is currently operating at ten times the scale originally envisaged. The plan is to create a purpose-built training centre offering classroom, production, presentation and rehearsal spaces including a studio for urban street art projects. Anthony Sargent, General Director at The Sage Gateshead, said: "The greater the region’s economic challenges become, the more work we’re doing with these young people – many of whom for a variety of reasons exist on the outer edges of society. With this exciting new redevelopment project we will be able to continue to help them rebuild their lives and learn musical and life skills that for many of them are transforming their employability and their life chances.